A kereru flies perilously close to the top of my head leaving a whorl of air spinning in a vortex. 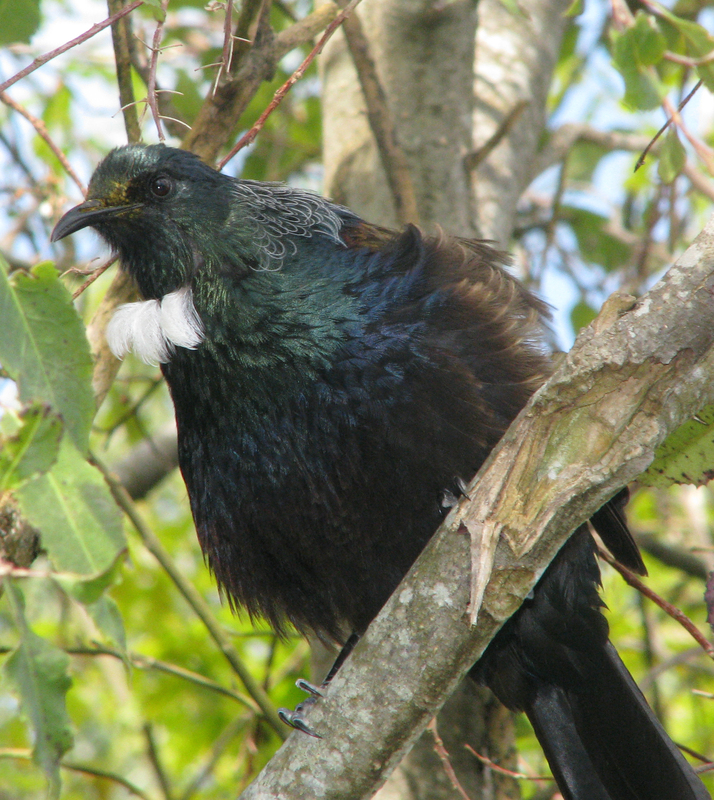 A tui in a nearby kowhai coughs and chortles and calls to it’s neighbour in the adjacent tree. A small flock of waxeyes chirp their way through the canopy of the scrub accompanied by a cheeky fantail and a warbler trills sweetly from not far away. A bellbird was around earlier in the day, just after the morepork stopped calling. I bend down and delicately remove a weta from in front of me. Its March on a Saturday morning, I am on the deck in my suburban backyard and I am enjoying weak autumn sun. My half-gallon, ¼ acre, pavlova paradise doesn’t have a lawn to speak of and I refer to it as my ‘regenerating jungle’. Less informed people like my wife, call it a pile of weeds. – I suppose she is half right. Still, with not much lawn to mow, I can indulge a while longer as the native world according to suburbia, spins around me. Pest control on the edge of suburbia has benefits that are there for all to see and hear. It’s amazing what committed local authorities and community groups, can do to reduce the scar of human impact on the natural world. The Wellington Regional Council, The Upper Hutt City Council, Forest and Bird and other people working in specific reserves around the area have ensured that at least in the upper Hutt Valley that we can live alongside native biodiversity. Sure, we get flocks of sparrows, finches, Eastern rosellas, spur winged plovers and starlings, but it’s almost a level playing field for the native species. 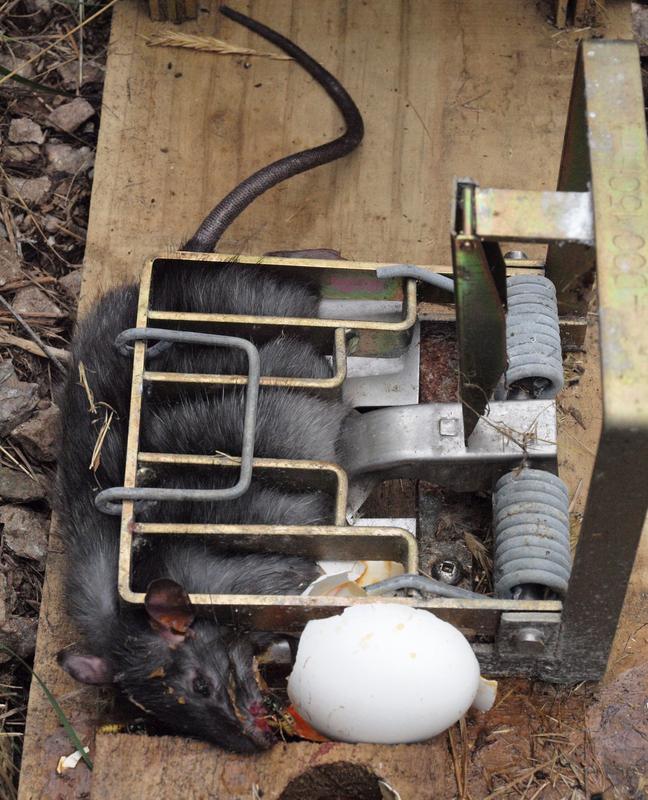 Get rid of the mammalian pest species from the bush and the natives can mix it with exotics in some places. I’m not just talking about birds here. You should see the rata in summer. Since the pest management work in Keith George Memorial Park and along the ridgeline between Whiteman’s Valley and Silverstream and in many little pockets of native vegetation, the rata are blooming magnificently! So its off into the scrub for Easter. The South Island beckons. Rain, hail, sleet and snow does not deter the weka and once the sun comes out, the bush is alive with robin, tomtit and warbler and all the usual suspects. A rifleman here, a bellbird there and a falcon soaring above the valley. Too late for cuckoo. And anyway, how the hell do they know how to get back home? 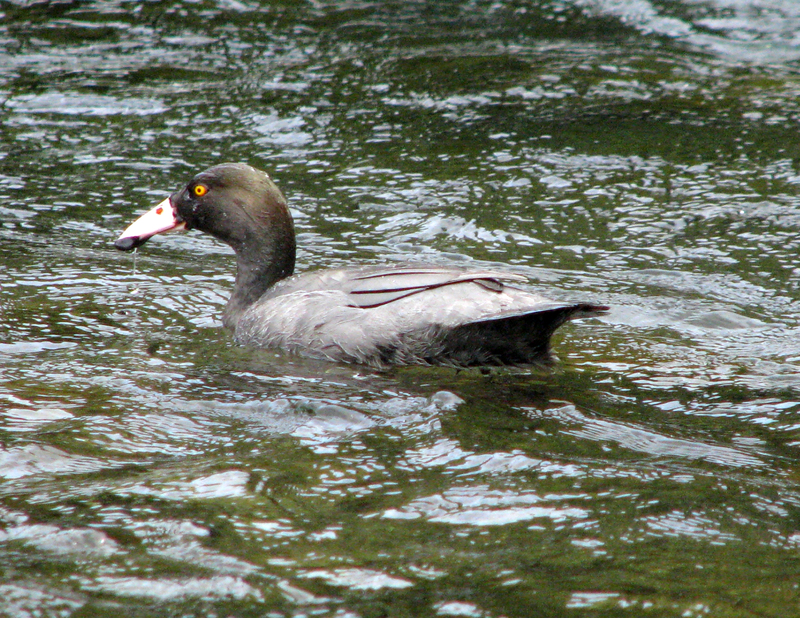 The real coup on this trip was to encounter whio – blue duck that inhabit the faster flowing currents in the clear mountain rivers of Kahurangi National Park. Their numbers have been declining and without management, they may slip away forever and I don’t mean downstream. The pest control on the river edges keeps the stoat, ferret and rat numbers down and this allows enough whio chicks to get clear in the summer so that populations have a chance of long-term recovery. Maybe one day, we will have them in the upper Hutt Valley? What a wonderful read. I’ve just returned back from lunch at home (which backs onto Harcourt park) and what a wonderful lunch it was! For some time now I’ve been hearing the Bell bird song, and only briefly have I seen the bird until today. While making my lunch I again heard the glorious Bell bird in song, this time it sounded very close. I popped out my back door to be greeted by a very animated Bell bird flitting from branch to branch, pausing to let it’s song sing loud, I could have sworn it was chirping to me! Then my moment in time passed, a Tui flew in and chased my Bell bird away. What fantastic lunchtime entertainment! Thanks goes out to all who contribuite in their conservationist ways!! Sounds great Simon! 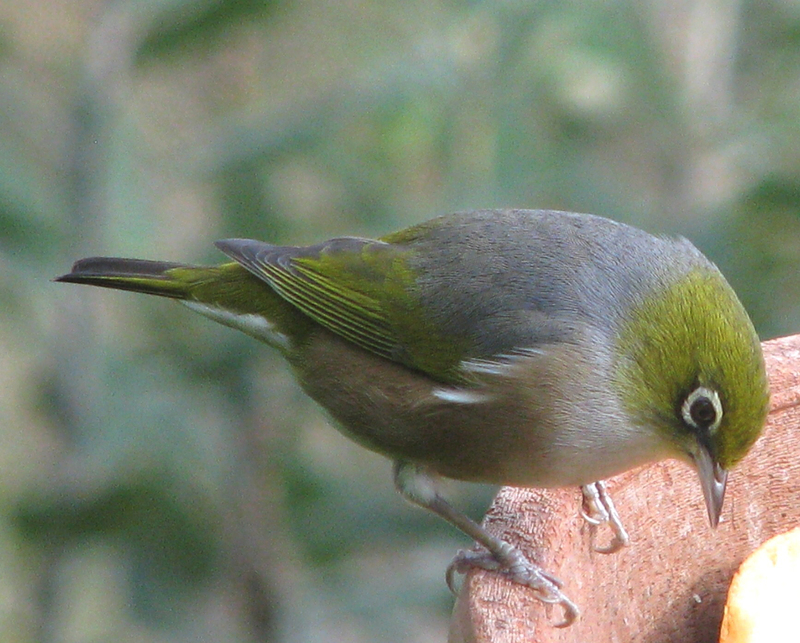 We always like to hear that people value native birds in their gardens.